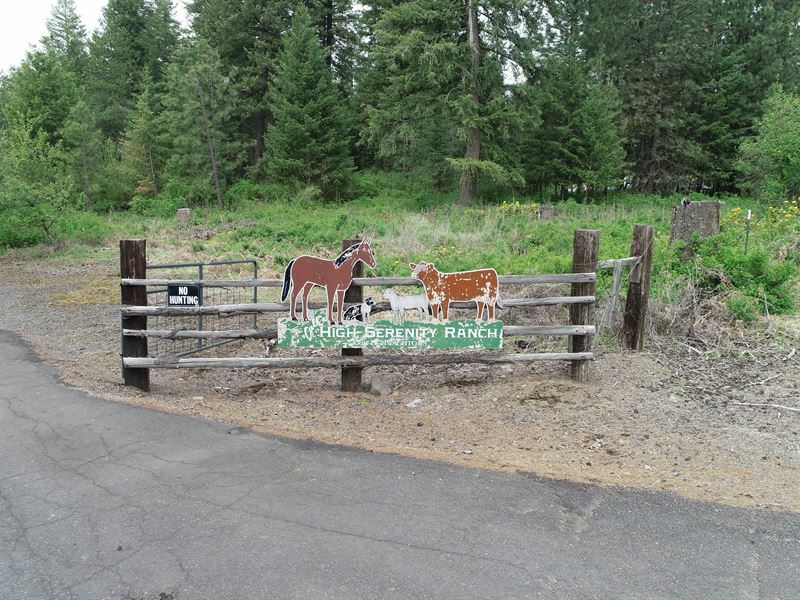 Ideal Hunting with Panoramic Views Private Executive Estate on 164 ac 6 parcels with picturesque views from North Spokane, Wild Rose Prairie and Eloika Lake with 50 mile plus views. This property has been managed for quality wildlife. High quality custom built brick rancher features 3 bdrm, 3 ba, open floor plan. Outdoor amenities a 40x40 heated shop with full bath and separate septic. Barn with tack and workshop, 2 additional outbuildings, spring fed pond and creek. Close in location with paved road to the front door.